In just two years, Particulate Systems has increased its instrument portfolio from one to ten products. Each one of these instruments provides particle characterization solutions which are complimentary to Micromeritics’ core product line. Continue to look to Micromeritics for innovative tools and support for addressing your material characterization needs. With either Micromeritics products and product development or the OEM products under Particulate Systems, you will find a wide range of material characterization solutions. Micromeritics and Particulate Systems offer six instruments that each utilize a different method of determining particle size distribution of powdered material, including one for characterizing particle shape. Methods include X-ray Monitored Gravity Sedimentation, Static Laser Light Scattering, Dynamic Laser Light Scattering, Electrical Sensing Zone, Air Permeability, and Dynamic Image Analysis. From nanometer to millimeter size particles, inorganic and organic materials, Micromeritics and Particulate Systems have an instrument to satisfy most particle size applications. Particulate Systems products include the VASCO Dynamic Light Scattering (DLS) analyzer which measures particle size down to 1 nanometer. The Particle Insight Dynamic Image analyzer provides particle shape information as well as particle sizing. The H.E.L. Limited Subsieve AutoSizer is a state-of-the-art replacement for the obsolete Fisher 95. Additional Particulate Systems instruments include the Surface Measurement Systems dynamic vapor sorption and surface energy products. The HPVA High Pressure Volumetric analyzer extends Micromeritics’ static volumetric analysis capability from 10 bar up to 200 bar. 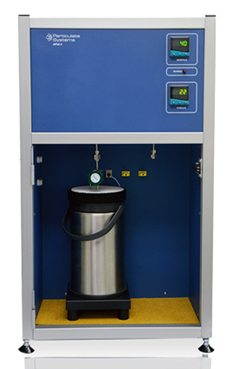 The PID Micro-Activity Reactor compliments the Micromeritics chemisorption product line. The Material Flow Equipment SPECTester material segregation tester is capable of analyzing a sample comprised of up to six individual components and indicating why and how much the sample material is segregating. The Magnetic Analyzer (MA-1040) is useful for detecting minute quantities of iron in a variety of materials. Particle Insight Dynamic Image Analyzer / Particle Shape Analyzer - is a state-of-the art dynamic image analyzer which is ideal for applications where the shape of raw materials, not just the diameter, is critical to raw materials. HPVA - 100 High Pressure Volumetric Analyzer - is designed to measure the high-pressure adsorption isotherms with hydrogen, methane, carbon dioxide and other gases using the static volumetric method. PID Microactivity Reactor - also known as the Microactivity-Reference, is an advanced modular laboratory system for measuring the activity and selectivity of catalysts. H.E.L. 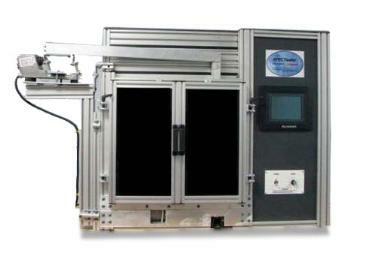 Limited Subsieve AutoSizer (SAS) - is a new addition to the established field of air-permeability particle sizing. It has been developed as a direct and improved successor to the widely used Fisher Model 95 Sub-Sieve Sizer (FSSS). SPECTester Material Segregation Tester - Using state-of-the-art spectroscopic technology, the innovative SPECTester is capable of analyzing a sample comprised of up to six individual components and provides a simple report indicating why and how much the sample material is segregating. Fully automated, the instrument provides data about component concentrations, particle size differences, and product uniformity. 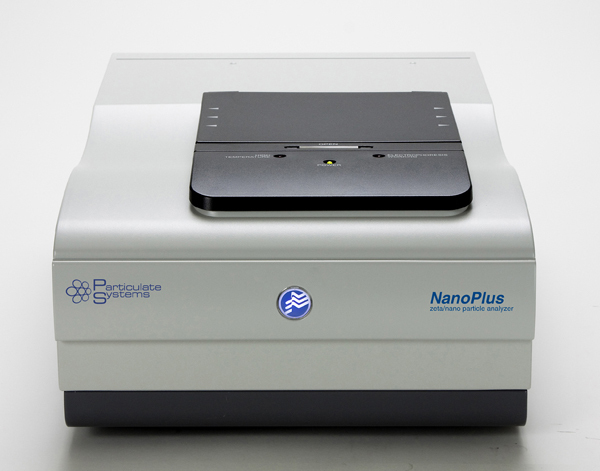 NanoPlus - a unique instrument providing particle size measurements of samples suspended in liquids whose particle size range is in the sub-micron to nanometer ranges. The NanoPlus has a size measurement range of 0.6 nm to 10 ?m with concentrations of sample suspensions from 0.00001% to 40%. The NanoPlus also has the capability of measuring the zeta potential of sample suspensions in the -200 mV to +200 mV range with concentrations from 0.001% to 40%. SSSpinTester - uses the science of centrifugal force to measure the unconfined yield strength of fine powders using a sample amount as small as 60 mg. This instrument provides measurements at forces in a range from as low as 0.05 kPa to as high as 72 kPa. Micromeritics introduces a new brand, Particulate Systems, to market a variety of innovative OEM particle characterization products.